Properties that were located withing walking distance of amenities had a much lower risk of default. A study by Gary Pivo of the University of Arizona determined that properties with high walk scores had a much lower risk of default than properties with low walk scores. In other words, properties near retail and transits were safer bets for lenders and by inference for investors (or more conservative investors buy properties with low walk scores?). Walk Score and Multifamily Default: The Significance of 8 and 80 – hoytpivo_mfhousing_walkscore_122013.pdf. When we started in the mid-90’s converting buildings to creative office and getting top rents–everyone said it was a fad. During the dot com boom–we thought they were right. Many spaces were converted back to creative office. This trend is causing a grounding shifting change in relative values. 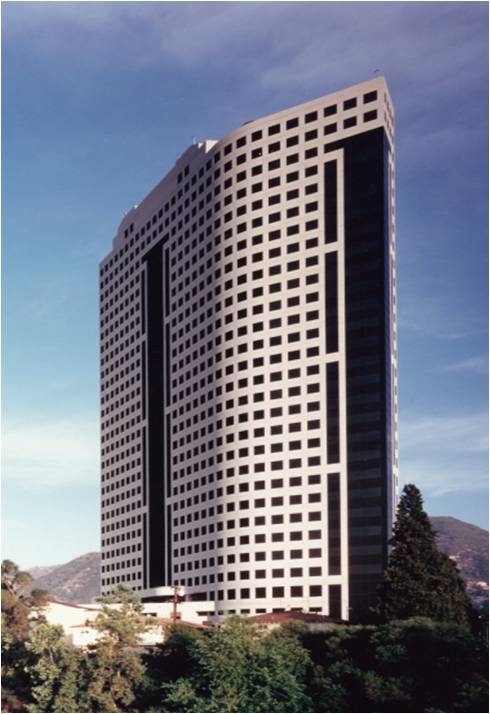 In 2005, BlackRock paid $160 million (or $333 per square foot) for this 480,000 square foot Burbank office tower leased to Disney. Jeff Worthe just paid $109 million or $227 per square foot for this class A highrise in the middle of the media capital. In contrast, someone just paid $305 per square foot for an empty raw industry building (with one per 1000 parking) next to our property in Culver City’s Hayden Tract. Long live brick and timber and bow truss ceilings. Tower Burbank purchase boosts landlord’s dominance in media district – latimes.com. We created a tech friendly office building at 10951 Pico Boulevard. We put in higher ceilings, concrete floors, wood floors, exposed elements, and the foosball table. However, the tech companies need to scale upward from 4 people per 1000 square feet to 10 people per 1000 square feet. So we had to get creative with just less than 3 per 1000 parking. Step 1 was a re-striping of our parking lot from less than 3 per 1000 to more than 3 spaces per 1000 square feet. Step 2 was cutting a deal with the nearby Westside Pavilion Shopping Center to rent additional spaces for our tenants allowing us to offer more than 10 spaces per 1000 square feet parking. 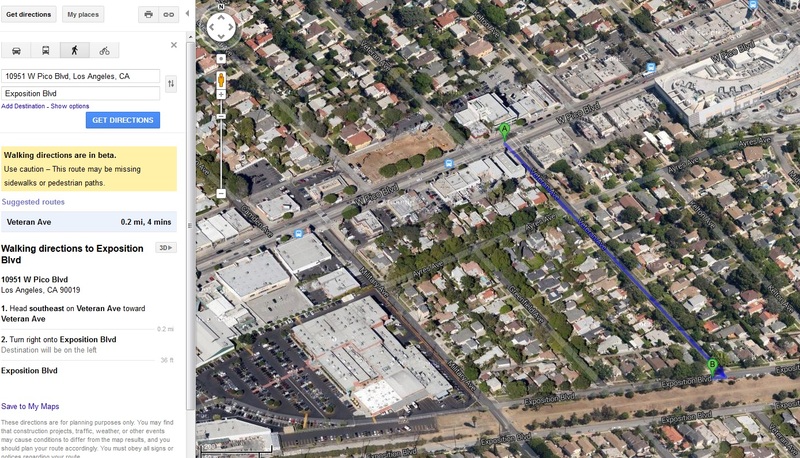 Step 3 was to publicize the availability of free street parking 4 minutes away along the new Expo Line. Step 4 and 5 was courtesy of CalTrans who just built a new first come first serve 250 space parking structure eleven walking minutes away and will open the Expo Line Station in 2015 so people do not even have to drive. With the economy improving, we have entered a new phase of the cycle. The risk on part. Investors have stopped fearing fear and have moved on. Are we in the greed stage? The problem is that real estate investors cannot find yield or attractive opportunities in safer or more stabilized investments and are now pursuing riskier investments–new construction, value add, tertiary markets. Investors are moving off of the sidelines and on to the playing field. Once we talked about underwater mortgages, then Greece, and now we talk about yield. 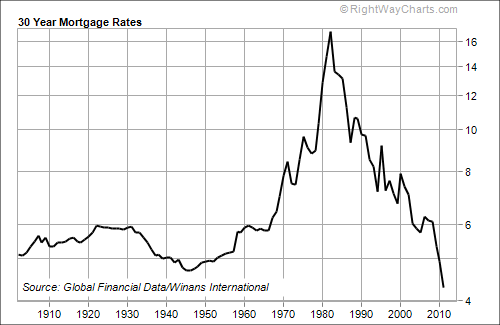 Interest rates still stand at some of the lowest levels in one hundred years. As fear resides, greed surfaces. Investors are in a desperate search for yield. The article below explains that the market for office buildings is being powered primarily by low interest rates, which have made it cheap to borrow money and have made the income buildings generate from rent seem relatively appealing. “The world is starved for yield,” says Scott Rechler, chief executive of New York landlord RXR Realty LLC, one of New York City’s most-active recent buyers. Interest rates drive cap rates as investors attempt to create positive yields between the property’s return and mortgage rates or returns on more passive investments. The chart below shows the relationship between cap rates, interest rates, and the spread between the two. Only during the whacky 80’s did spreads turn negative. In those times, all cash buyers dominated the market place and super high rent increases (or projected rent increases) were used to make those negative spreads disappear. Cap rates are at the lowest point since 1951 except for their most recent lows during the peak years 2007/2008. Mortgage rates, on the other hand, are also at some of their historical lows despite their 100 basis point rise from the low of last year. The question arises on whether cap rates and interest rates are both sustainable. Bill Gross argues that governments must maintain rates and will only very gradually raise them over a long period of time because economies are addicted to low rates. Any sudden rise would have a very harmful impact on the economy. We must be aware that the cap rates and interest rates today are far from the norm. Skyscraper Prices Head North – WSJ.com.